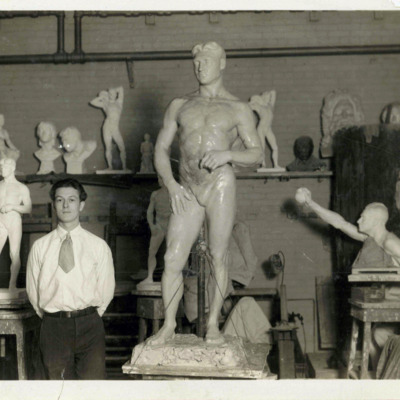 Mr. Marshall Fredericks is visiting Europe for the purpose of furthering his art studies. 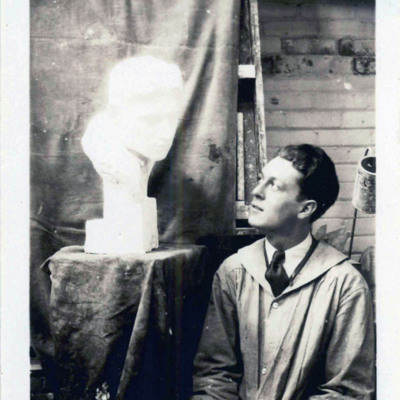 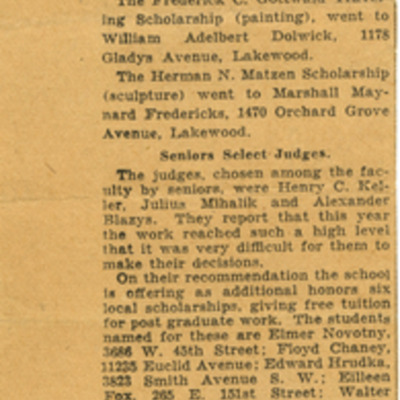 He is the winner of a traveling fellowship from The Cleveland School of Art, upon graduation from this school May 29th, 1930. 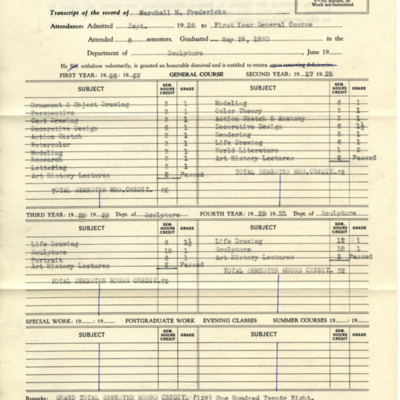 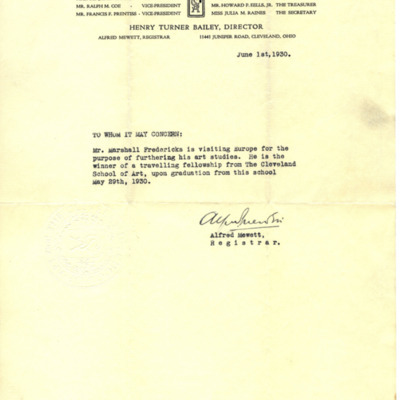 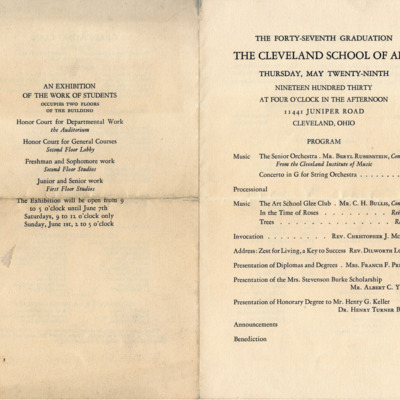 Marshall M. Fredericks's academic transcript from the Cleveland School of Art, which he attended from 1926-1930. 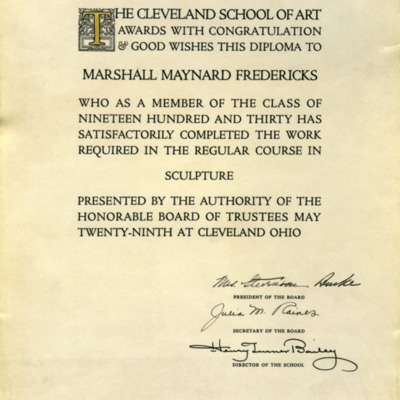 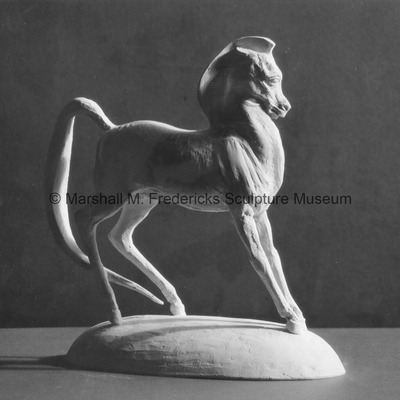 Marshall Fredericks attended the Cleveland School of Art (now Cleveland Institute of Art) from 1926-1930.